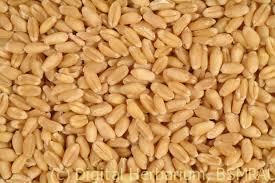 Scientific name: Triticum aestivum L.
English names: Bread Wheat, Common Wheat. Root: Two types of roots are found, the seminal roots and the nodal roots (adventitious or crown roots), which arise from the lower nodes of the shoot. 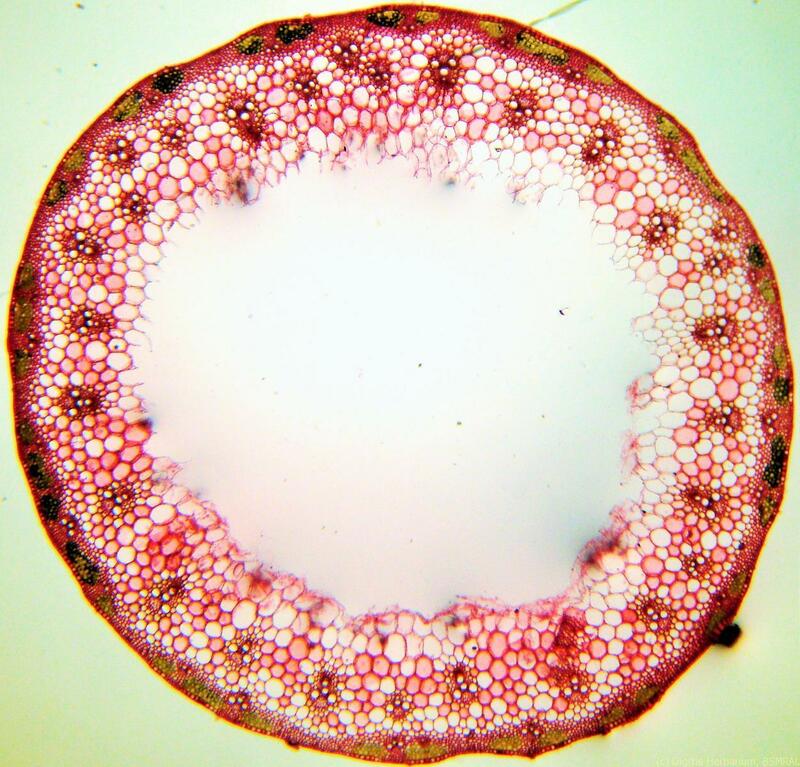 Stem: cylindrical, hollow internode but solid node which is called as culm. From four to seven of the most distal units have an elongated internode. 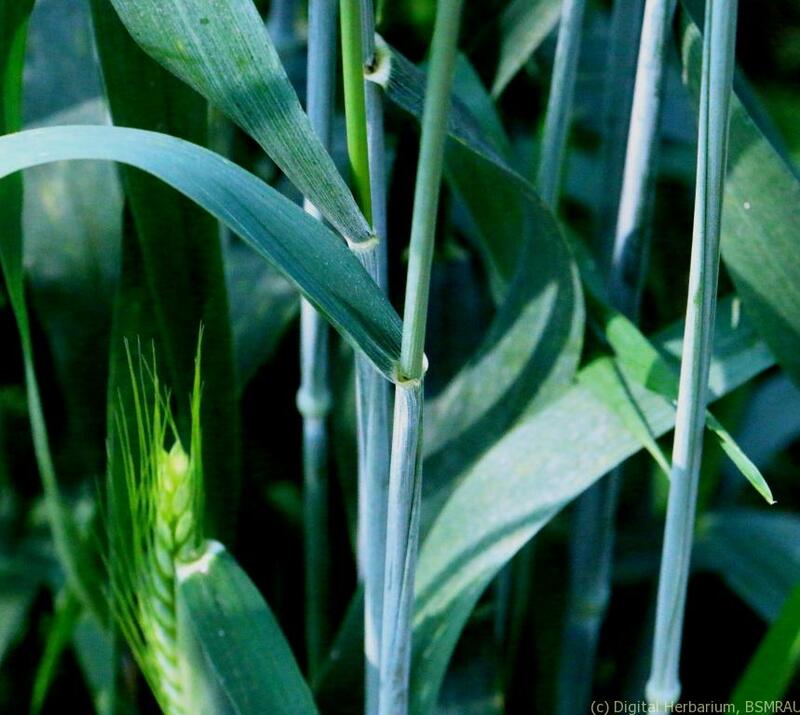 The portion of the shoot with elongated internodes is the elongated stem or culm. Internodes: The elongated distal internodes increase in length from the basal to the most distal, the peduncle. Leaf: simple, alternate, sessile the leaf is divided into two parts leaf sheath and leaf blade. At the top of the leaf-sheath there are two small auricles sparsely fringed with hairs and short embranous ligule. 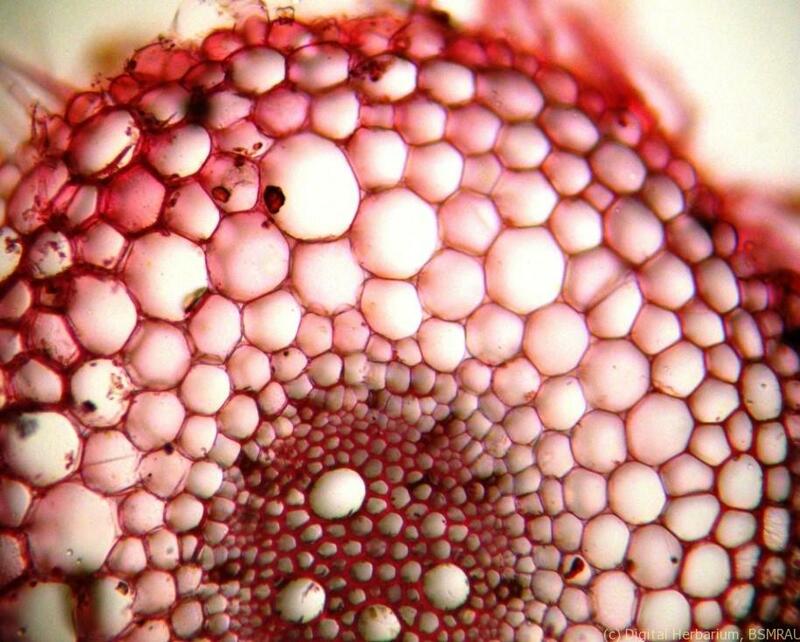 The leaf blade is linear, flat, and parallel-veined. The terminal leaf is known as flag leaf. Inflorescence: Inflorescence a spike, erect but curved at maturity, mostly 5-15 cm long excluding the awns, rachis 2- 3 mm long, hairy on margin. 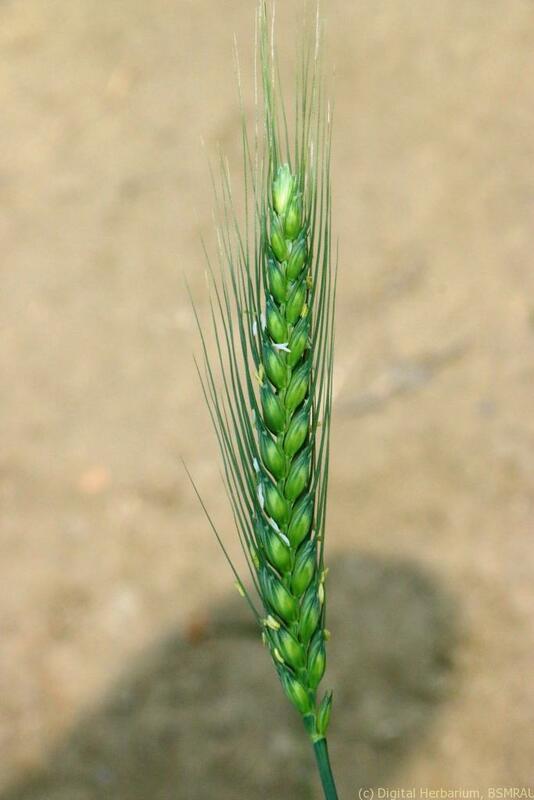 A spikelet has a small axis known as rachilla. 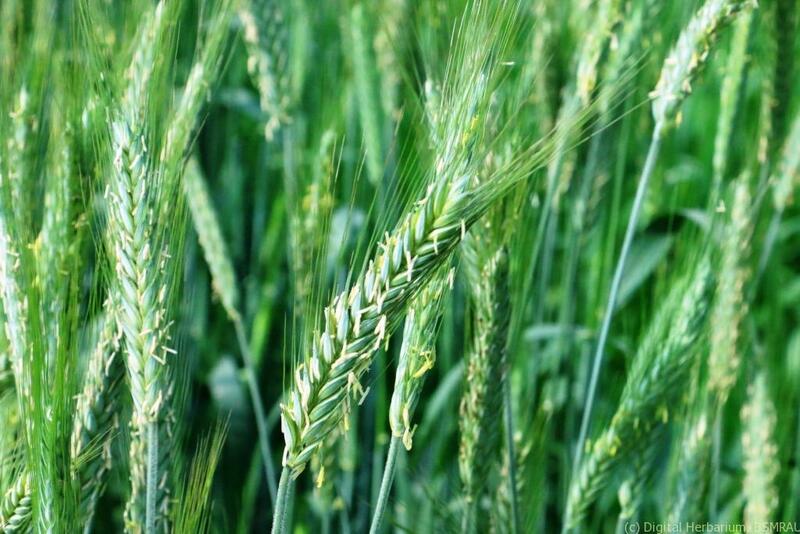 Flower: Spikelets solitary, ovoid, laterally compressed, 3-5 flowered, upper most sterile, glabrous or pubescent, awned or muticous, awns when present up to 16 cm long. Androecium: Stamens 3, anthers 1.8-2.0 mm long. Gynoecium: Carpel one, stigma feathery, placentation is basal. Fruit: Caryopsis oblong, 5 mm long, hairy at the apex, ventrally grooved, free within the lemma and palea. 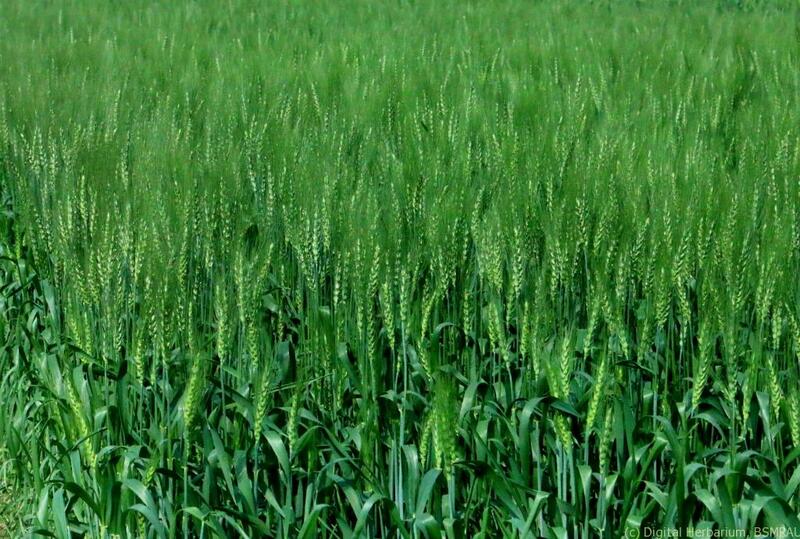 Economic Importance: Wheat is the most important cereal in the world and used for human consumption. 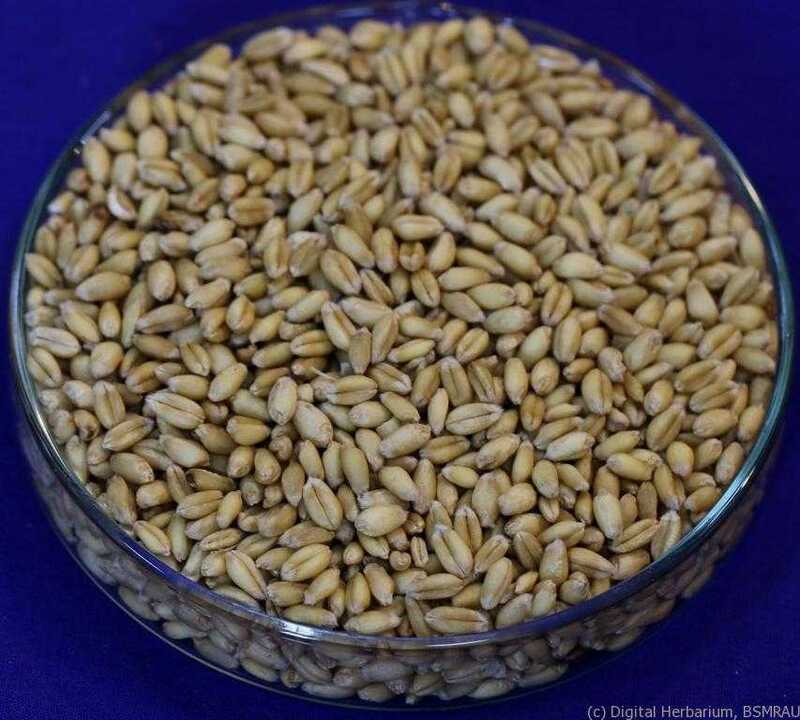 Starch widely used for human diet, flour from soft wheat is used for manufacturing cakes, biscuits etc. Starches are also used for manufacturing alcoholic beverages and in textile industry. The straw is used for seating chairs, stuffing mattresses and leaves are used as fodder.